The first piece of prose I ever wrote was based on my favourite game for the Playstation 2, Kingdom Hearts. The New Era of Darkness was written and successfully completed in May – July 2003. Set two years after the story events in the game, this tale shows how I envisioned a possible sequel. Of course, this was written and planned before the game’s sequels, Kingdom Hearts: Chain of Memories and Kingdom Hearts 2, were even announced. Also, this tale featured my own characters for the first time. Characters that I would use in my first-ever novel, The Saviour. Starting in November 2005 and finishing April 2006, I wrote a sequel to New Era of Darkness, based on Chain of Memories. This sequel is called the Imbalance of Reality, and after so long, it’s finally online, carrying on where New Era of Darkness left off. And now, finally, is the final part of this trilogy, naturally based on Kingdom Hearts 2. The Darkness-Nothing War, an ongoing series that is gearing towards a final resolution. If you are interested in checking out these stories, click on the link below. DISCLAIMER: Before anyone says anything, I would like to repeat that this story is a fan fiction and thus UNOFFICIAL, and is in no way affiliated with the actual Kingdom Hearts series itself, or the developers Square-Enix and Disney. It’s written for fun and no copyright infringement is intended. However, the story is my own work and thus the original characters written in the story are copyrighted and owned by me. My first-ever novel! After enjoying writing New Era of Darkness, I decided to go for the big one and actually write a book, complete it and get it published. Starting in January 2004 and finishing in January 2006. The first part of this sci-fi fantasy (Book 1) was published in 2009/10. Although no longer self-published, I signed with Artemis Publishing and it became available for sale. Sadly, Artemis Publishing are no longer in business. However copies may still be available at the links below. The Saviour takes the original characters from fan fiction New Era of Darkness and puts them in a completely different setting. 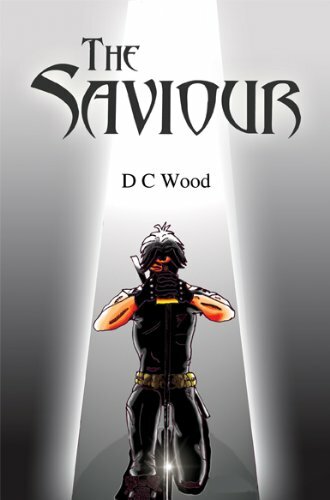 I am currently rewriting The Saviour AND its sequel The Saviour & Hi-Jax for publishing. Stay tuned for previews in the future. Tickets available for One Man, Two Guvnors! New Trailer released! BOTH BOOKS FINISHED!!! AWARDS/NOMINATIONS A-PLENTY!!! The Titfield Thunderbolt comes to Congleton!